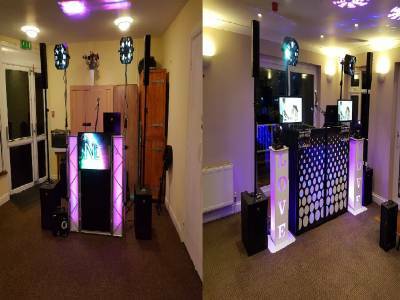 "Reliable DJ, Music/Video/Karaoke & PhotoBooth"
Established for over 24 years based in Chelmsford, we provide high quality musical entertainment for all types of functions. We provide discos, video discos and photobooths for weddings, adult parties, corporate and children's parties, school discos... you name it, we do it! We only use the professional grade LED DMX lighting, lasers and Mackie sound system. Our aim is to make your event as memorable as possible. And welcome play lists so that you get the music you like. Required by many venues, Fundisco.co.uk has a current PLI policy with National Association of Disc Jockeys in the amount of £10 million. Also required by many venues, Fundisco.co.uk has supplied satisfactory evidence of holding current PAT inspections of their equipment dated within the last 12 months. A Method Statement outlining Fundisco.co.uk&apos;s Health & Safety procedure for setting up disco equipment has been provided. Fundisco.co.uk has provided Risk Assessments undertaken at events sourced via needadisco.com, indicating that they can undertake these competently. Why do people choose to book Fundisco.co.uk? He gave me loads of information ,but mostly because he had experience with childrens parties . Better price and more for your money! Price balanced against offer and the tone of the response - felt right. "Mark was fabulous, from first contact he did exactly what he said he would . 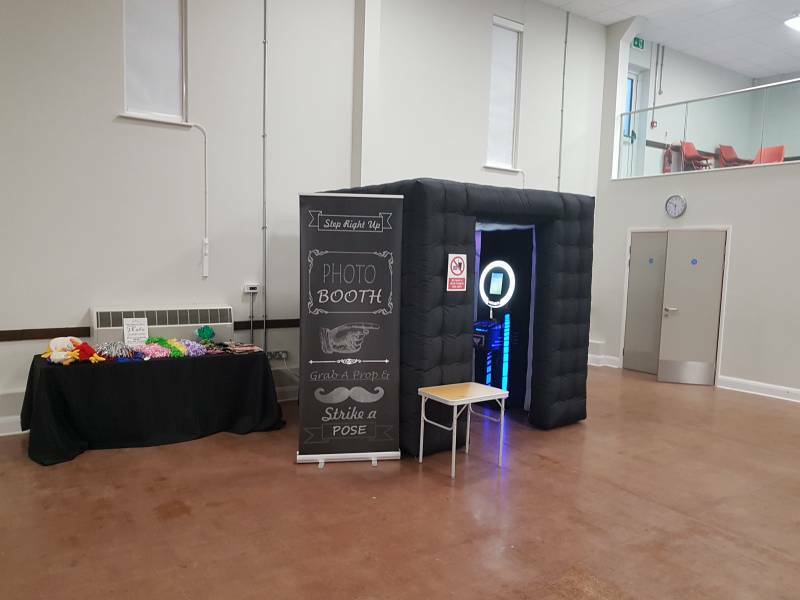 He provided all the information I needed ,he turned up on time and set up without any fuss .We had hired the photo booth too .Some of my guests were special needs and he interacted with them brilliantly.My daughter had the most fabulous disco party .I would thoroughly recommend Mark to anyone .Thanks Mark." "Thank you for leaving a review, it is appreciated. It was great fun on Saturday and I'm pleased everyone enjoyed themselves." "The photo booth was fantastic! Couldn’t fault that and that was a great purchase, however I had several complaints of the dj being rude to guests and he also asked for payment to the bride half way through the night when she was talking to her guests. This was not acceptable, second the dj did eventually start playing good music after several guests going up and requesting and telling him the music wasn’t working but again I heard he spoke to my guests rudely and with no professionalism. Overall the photo booth was fantastic but if you want it supervised you should have someone on there at all times not expecting a guest at a wedding to do this for you and the the music was good just wish the dj had a little more enthusiasm and read the crowd better. Lighting was great and eventually once the Dj was told multiple times to step up his game the music was better and people enjoyed it. " "I am sorry I didn’t meet your expectations on this occasion. This is definitely wasn’t how I remembered the night, the only person that complained that I was playing a Scottish song was a Scottish family member who was unbelievable rude to me and also very drunk, as I had a full dance floor including the Groom I had no reason to change the song. At no time did anyone else complain about the music as for most of the evening people were sitting outside enjoying the sun as the hall was too hot. I was also playing your 3hr playlist that you gave me to play. Regarding payment this is due before the music starts and at the beginning of the evening, a reminder of this was sent to you two days before the event, the DJ should not have to start chasing for payment halfway thru the night. Lastly at no time was a guest asked to man the Photo Booth and this is ridiculous to suggest such!" "Mark showed up in adequate time to set up. He introduced himself and we discussed the halls security features amongst other things. He was good with the requests made for different songs. I’m glad I booked Mark and thank you. Good value for money too. " "Thank you for leaving a review it is appreciated - see you at the next one." "Highly recommended! Completely professional, accommodating, helpful and we all had a great time! Thank you Mark!" "Fantastic evening, played to a very mixed age crowd, celebrating our 30th wedding anniversary, floor was full all night, thank you Mark! " "Thank you for leaving a review it is appreciated." 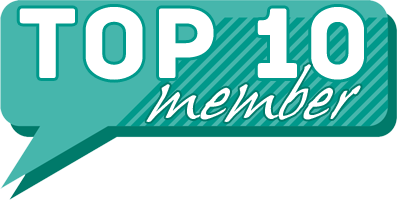 "Mark was very friendly & professional. He met all my requirements on the night from song choices to handling the microphone. His choice of songs had my guests dancing & entertained all night as well as the kids who loved the little extras provided. I have had nothing but compliments from my guests but most of all he made it the best 40th Birthday Party for me. Thank you Mark "
"The night was outstanding Mark was extremely friendly and interactive with all adults and kids music selection was very good he could read the crowd and the atmosphere very well, would highly recommend for your event, it was a pleasure to have you with us to celebrate a surprise 30th for my wife "
"Thank you for taking the time to leave a reveiw it is appreciated. I'm glad you had a fun night and hopefully see you all again soon." "I hired Mark for the first time this year for a Children's Christmas party I organise each year, and as a company we will defiantly be hiring him again. On my arrival Mark was already at the venue and was set up. He ran through with me what he was going to do. I had also booked Mark to do some magic with the children. Mark was absolutely fantastic with all the children. He had already laid out packs of glow sticks for when the children arrived which they loved. During the evening he made items out of balloons, he gave out medals for dancing, he ran little competitions and handed out prizes. The list goes on. All in all absolutely brilliant. I have had so many positive comments regarding Mark. If you want a disco where the DJ interacts totally with the children then this is money well spent. Thank You Mark for making my Children's Christmas Party such a great fun night. " "Thank you for taking the time to leave a reveiw it is appreciated. I'm glad you had a fun night and hopefully see you all again soon. Have a great Christmas and 2018." "Mark was an excellent DJ who managed our party incredibly well, filling the dance floor with an assortment of ages. He played games with the children and even helped me to set up the food! Would not hesitate to use him again." "Thank you for taking the time to leave a reveiw it is appriecated. Because of copyright issues videos have to be under 10 secs long otherwise Facebook stop them being posted. " "Mark arrived in good time, looked the part and the magic tricks during dinner went down well with the guests. The music was all requested by us and he accommodated it all exactly how we asked. We were disappointed that the song intro to the first dance was cut out so it therefore cocked up our choreography because the start of the song was very important. Because of the missed intro and lack of announcement we weren't ready and the dance didn't go perfectly well. Other than this, we thoroughly enjoyed the music. Mark was very quiet on the interaction front and didn't announce our guests requests, as we had asked and I can't remember him on the mic much at all to be honest. After, he said that there were some videos on his Facebook page which we were excited to see....however the two videos we found for our event were 7 seconds and 6 seconds long and so pointless and disappointing. Best not bother with this and just post pics instead! He did play all the music we requested and his website playlist planner was spot on and so easy to use. He is a really nice guy and I would recommend him to others." "A great entertainer in my opinion, however had a few complaints that songs were not played in their entirety and that each song was cut short. " "Thank you for taking the time to leave a review it is appreciated. To accommodate all requests some songs had to be cut short otherwise not all songs would have been played"
"Everyone was happy with the music and the entertainment and Mark was a very pleasant person, made the party go with a swing." "Thank you for leaving feedback it is appreciated." "Mark was a great DJ who worked with us to achieve a great party. The younger guests loved the music and all loved their medals. The older guests all enjoyed the range of music played and Mark got all of our guests dancing. The game of Mr and Mrs before our first dance was good fun. " "Mark was a brilliant DJ. A good mix of music to cater for all tastes with some good old favourites to get everyone up on the dance floor. I don't think the dance floor was actually empty all night - brilliant!" "Everything from the DJ Mark was excellent!! Everyone commented on the music and the dance floor was full all night! A massive thank you to Mark, would 100% recommend him." "Thank you leaving a review it is appreciated." 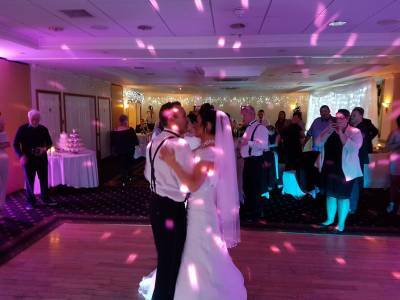 "Firstly I would like to say that my wife and me had an fantastic wedding day from start to finish and this great day was assisted by our DJ for the reception Mark Boshell (Fundisco). Not only did Mark provide an excellent service on the day of our wedding, from playing all our playlist songs to entertaining the kids with balloons etc, but he also put my mind at rest on the run up to the wedding. The sound system Mark uses was excellent considering the size of our wedding venue and the price he charged was very competitive. I have no reservations in recommending Funddisco." "Mark was a really great guy and delivered on the night and made it really special. The few young kids that were their thought he was great." "Thank you for taking the time to leave a review, it is appreciated and I am glad you all had a good night." "Mark was brilliant. Ours was a tricky event as it needed to appeal to children from 4-16 plus their parents and grandparents and we wanted everyone to have a great time. His games and medals for the kids when dancing were really well-received and parents commented on this - the kids were really engaged. But there were also good music choices for parents for later on. He kept 300 people happy in a very large space (Ipswich Corn Exchange grand hall). He also worked with us to make announcements and to play our tracks for the children to perform to. I thoroughly recommend him and he will be our first choice for future events." 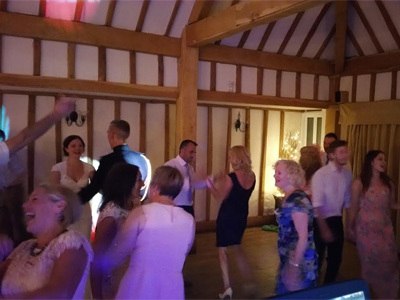 "Great Dj...very professional and friendly...fantastic play list that got everybody up and dancing...definitely recommend this Dj. 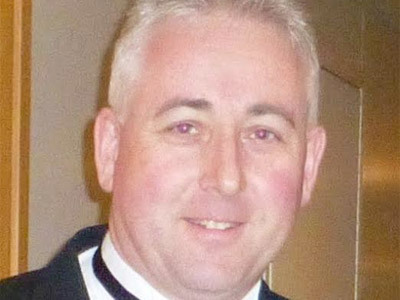 Thank you very much "
"Mark was absolutely brilliant both before the event and on the night. He catered perfectly for our taste and was brilliant. I would definitely recommend him "
"Thank you for taking the time to leave a review, it is appreciated and I am glad you all had a good night. " "Mark was absolutely brilliant. Neat, tidy, efficient and everything about the sound and light quality was spot on. His attention to detail was made him stand out. Couldn't have been more impressed. Would recommend him to anyone." "Mark was a brilliant DJ. From the mood lighting to the music choices. Excellent. Professional from the moment he walked in. And gave out balloons and musical instruments to entertain the youngest dancers and rewarded their efforts with medals. This man made my birthday complete." "Wow, what can I say! We hired Mark for our daughter's naming day and his services included a disco and magician! He was amazing and impressed the adults as well as the kids! The music was tailored to our needs, there were flat screen TVs with music videos which the kids loved! The lighting on the disco was great and Mark also provided lighting for the room, which made it more magical for our daughter. One thing that did put Mark above any entertainer we have had is when a family member took ill and he stepped in to help, thank you for that. He also had time to take photos of the ceremony and party, which were amazing as we didn't get time to take many. We would definitely recommend hiring him and will use him again (if we can find something else to celebrate)"
"Thank you for taking the time to leave a review, it is appreciated! " "We highly recommend Mark, he kept both the children and adults entertained. Mark adapted well to changes we had to make at short notice. We had provided specific Greek music to play at our wedding and Mark ensured he conformed to our wishes, making sure our wedding ran smoothly. A wonderful night was had by all and the guests told us they thought he provided excellent entertainment. Thanks Mark!" "Thank you for taking the time to leave a review, it is appreciated and I am glad you both had a good night. Enjoy your honeymoon." "We would recommend Mark anytime.He was so friendly and provided a great service.All our guests commented on how great he was.Brilliant dj.Many thanks "
"Thank you for taking the time to leave a review, it is appreciated and I am glad you both had a good night. " "An absolutely fantastic evening! Mark really made the night special for us both, he was there at the venue much earlier than we expected and sorted everything out before we even arrived. Mark really made the night memorable for everybody, he entertained the children and adults with balloons and party tricks. When an issue with the cake arose, Mark offered to pick the cake up himself from the cake decorator. I would use him again for sure and most definitely recommend! He's completely dedicated to making the night run as smoothly as he can. Massive thank you to Mark!" "Very good DJ, music was great for young and old! Would definitely use again! Thanks!" "Thank you for taking the time to leave a review, it is appreciated"
" Mark was absolute breeze to work with for my wife's 50th party, dance floor was never empty, his interaction with the children there was excellent, I wouldn't hesitate in recommending him to anyone, 10/10"
"Mark was very well organised and friendly. He made the evening a great success, he got everyone up dancing and kept the kids entertained with medals for dancing, balloon making and providing glow sticks for them. Would definitely book him again!!" "Very pleased with mark at fundisco. Arrived early and was very helpful throughout the evening. Highly recommended!" Fundisco.co.uk also offers a range of additional party services not directly linked to musical entertainment. If you are contacting Fundisco.co.uk about an event, it's always a good idea to include the DATE, LOCATION, EVENT TYPE, AGE GROUP and TIMINGS to speed things up!